/// EVENT TIP /// Make sure to join Blank & Jones this Saturday on the wonderful German Island Norderney. 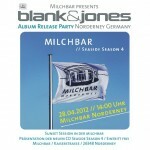 Blank & Jones will play in their favourite chill out location “MILCHBAR” (# 11 german sales charts) a full 10 hour sunset session to celebrate the release of the new “Milchbar – Seaside Seson 4” album. So bring some sun, Blank & Jones bring on the good vibes! Milchbar 5 hits the official German sales charts at no. 9! Music News: SANDRA release her new album “Stay In Touch” on October 26th! 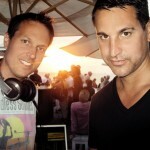 News: Blank & Jones hits with so8os 7 IBIZA the official German sales charts at no. 11! Milchbar Seaside Season 4 hits the German iTunes charts at no.1! News: Blank & Jones hits with so9os the official German sales charts at no. 14!